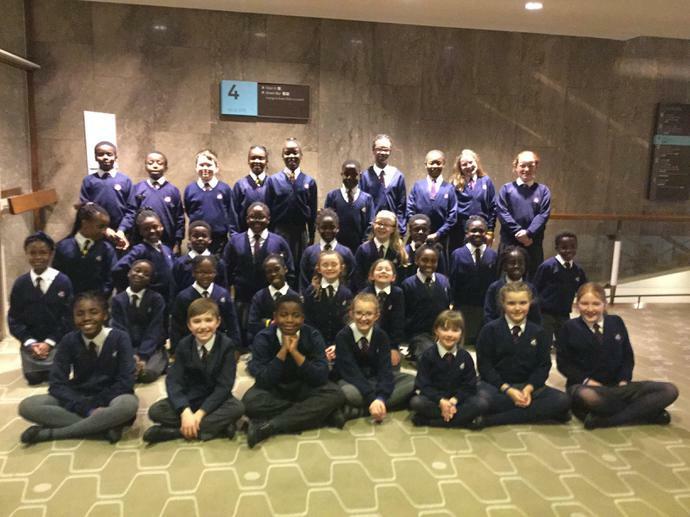 On the last day of term a group of children went to the Royal Festival Hall for the day. 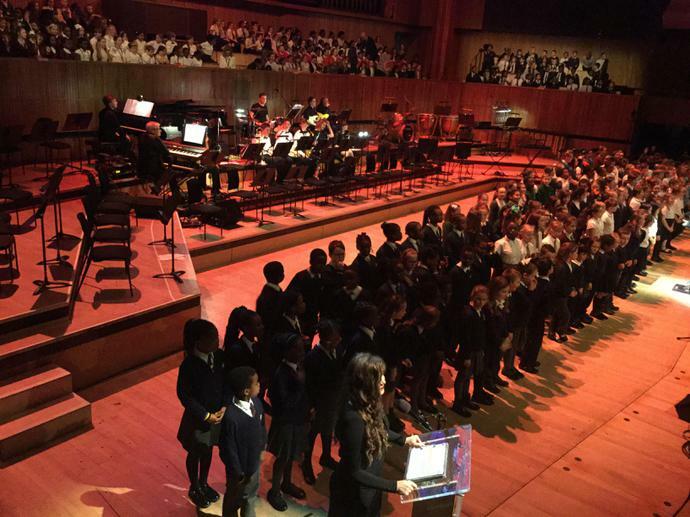 They were members of our school orchestra and choir and Year 4 Djembe drummers. 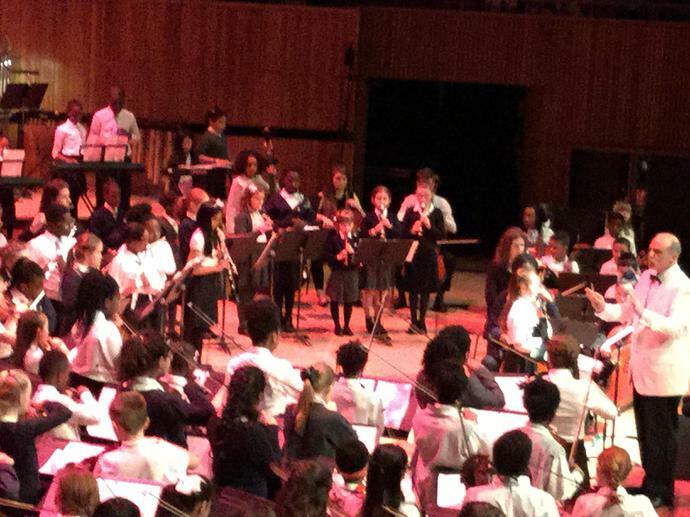 They have been rehearsing together for months (with the support of teachers from Bird College and Mrs Pack who has been working with them as well). 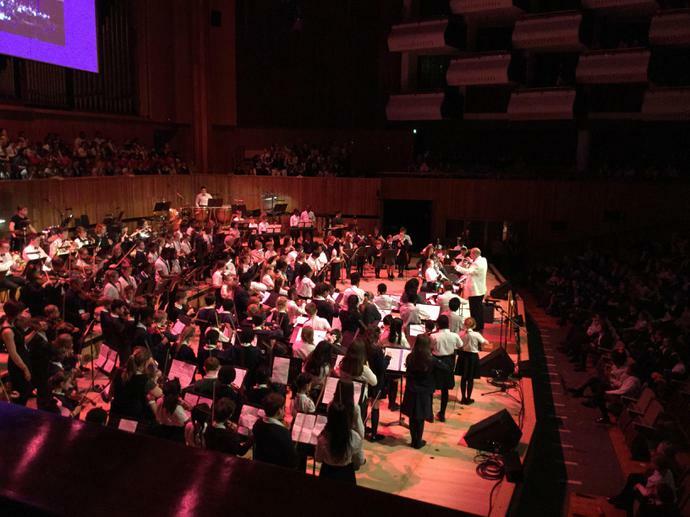 They joint children from many other schools in Bexley and after a long day of rehearsals performed on stage at the Royal Festival Hall. 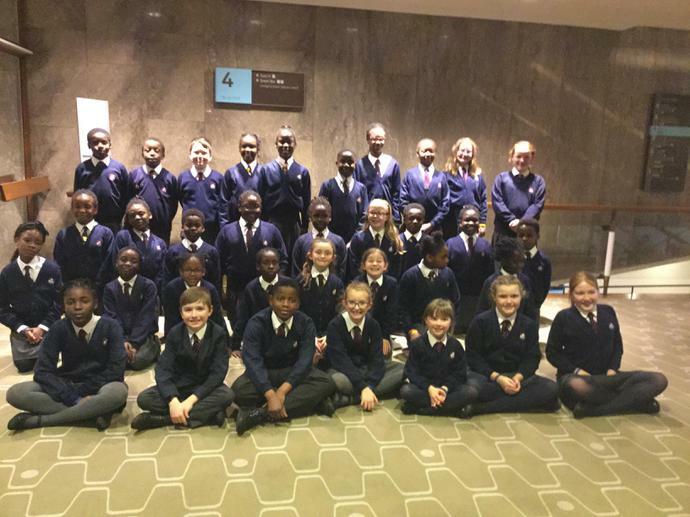 All of the children were a delight to be with for the day and their behaviour was excellent. 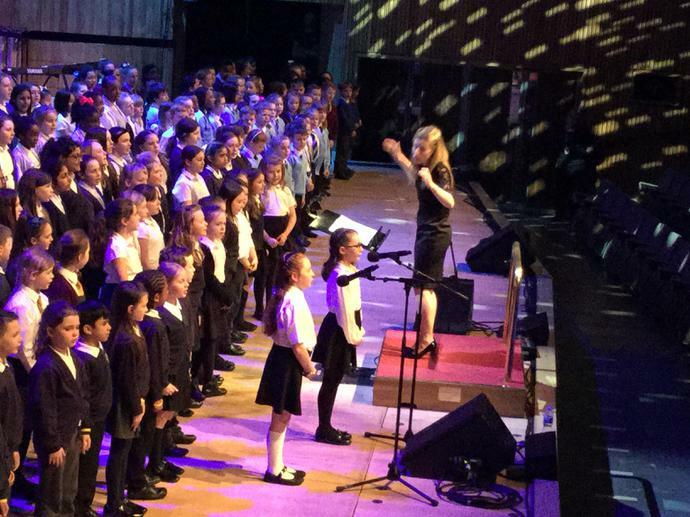 They were very proud to be able to perform together in such a well known venue. Thank you to Mrs Sukonik, Dr Pack and Mrs Tharby who came on the day and supported the children.